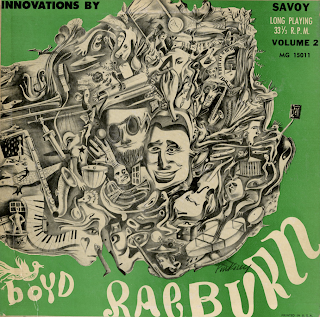 From Billboard - July 21, 1951: In music circles some four or five years ago, there was a considerable to do over the rather sensational concert approach which Boyd Raeburn had employed for his new band. The band, hitting at a time when Woody Herman and Stan Kenton were immovable from the top rungs of the big band jazz ladder, never really got off the ground in the market. However, its recording, then issued on Jewel Records, received quite a bit of attention. These disks now have been reissued in long-play form and, at least in sound, are an improvement over the originals. An appraisal of the content of these disks at this point would show that the Raeburn idea, put into practical action by arrangers George Handy and Ed Finckel, was quite pretentious and windy but produced many moments of fascinating sound and modern "progressive" jazz touches. 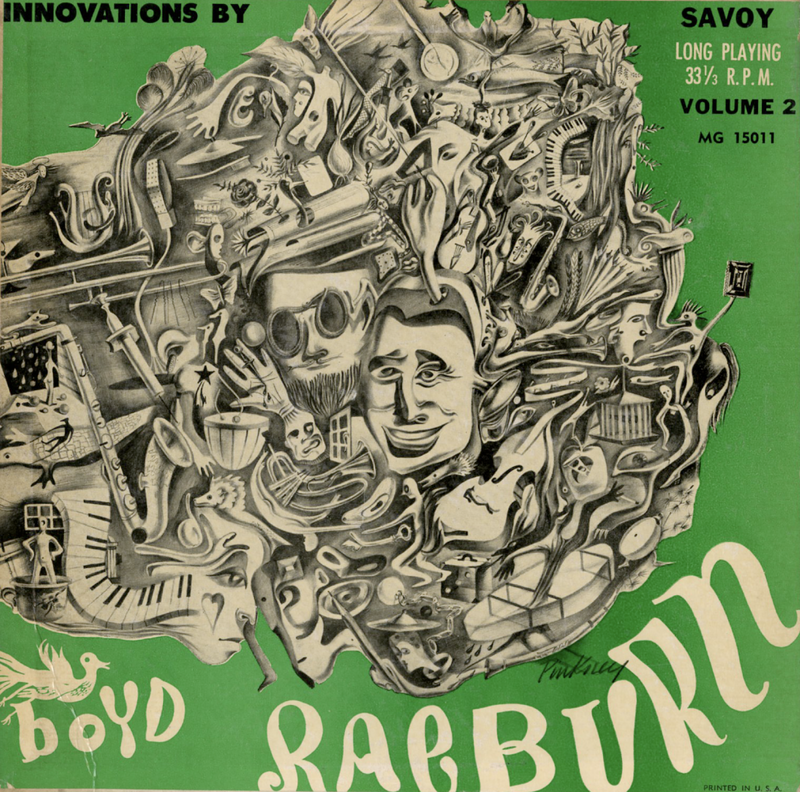 "Boyd Meets Stravinsky" still stacks up as something of a big band jazz masterwork, for instance. The half dozen or so vocals in the three volume are shared between Ginnie Powell and David Allyn, the latter a particularly gifted young man. Jazz fans of the modern school will most particularly want to have this complete disk documentary of the noble Raeburn experiment. From the back cover: Herbie plays tenor sax and has surrounded himself on these sides with a group of really fine musicians. 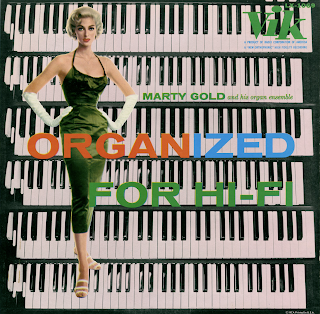 From the back cover: Marty Gold's preparation for this unusual arranging and conducting task started with a Town Hall debut when he was only 12 and has included arranging assignments for Charlie Barnet and other big bands and work as a conductor for such singers as Sarah Vaughan and the Four Aces. For several years he has been associated with The Three Suns. The tunes has has chosen for his three-organ ensemble are some of the most warmly loved works of our popular composers. 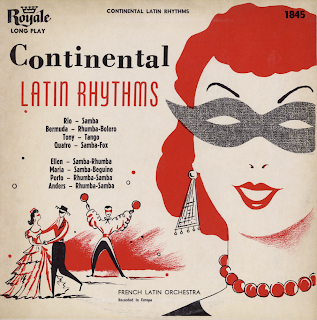 Most of them are thoroughly familiar and some – like Yesterdays and Over The Rainbow – are heard almost daily by anyone within earshot of television, radio or jukebox but never before in the unusual instrumentation in which they are offed here. 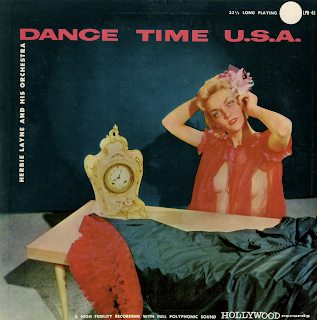 From Billboard - March 2, 1958: Superior sound, unusual instrumentation, and excellent technique make this package a solid commercial bet. Ensemble features three organs, string bass, percussionist, celesta and a keyboard glockenspiel. Nostalgic line-up of standards included "I Saw Star," "Penthouse Serenade," "All The Things You Are," etc. 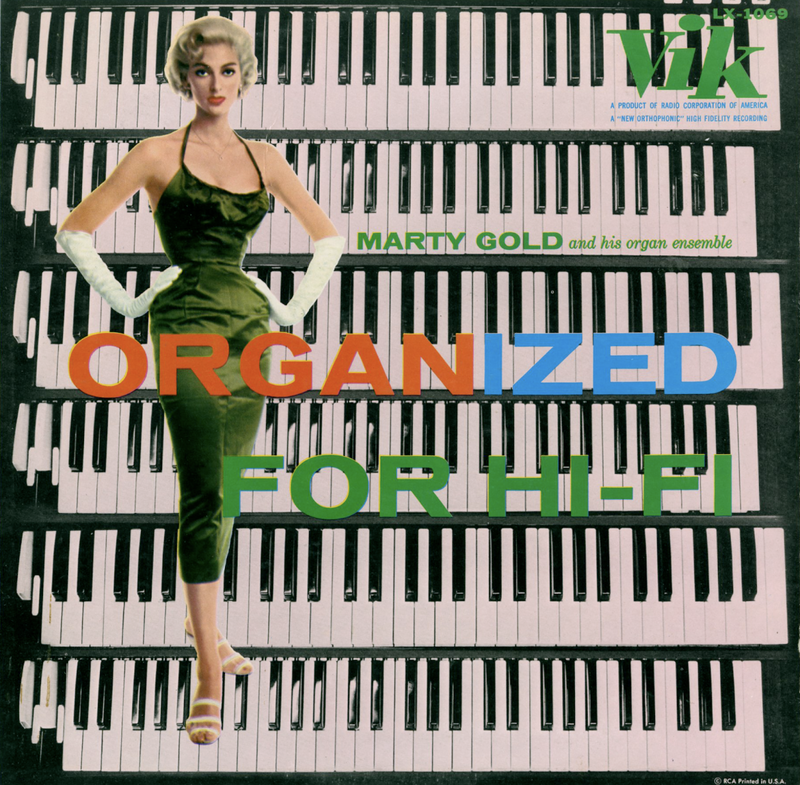 For hi-fi addicts, organ fans and romantic deejay sets. Striking cover photo.